This is not an essay into Indian cuisine and culture. It's a blatant plug for this place. I'm hoping you, dear reader, upon seeing this, go there and buy some stuff and help keep the place open. The spice aisle is extraordinary. They have gum acacia. It's in 3.5 ounce bags and called "Edible Gum". It's from Deep Foods (Indian importer in New Jersey). They have mustard oil. And best of all they carry black and brown mustard seed. Please drop everything you are doing and go and shop there, now. 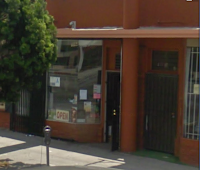 Labels: India Spices and Groceries Market, Los Angleles, Mustard seed, Pico Blvd.